It is about a 20/30 minute bus ride from Palermo. 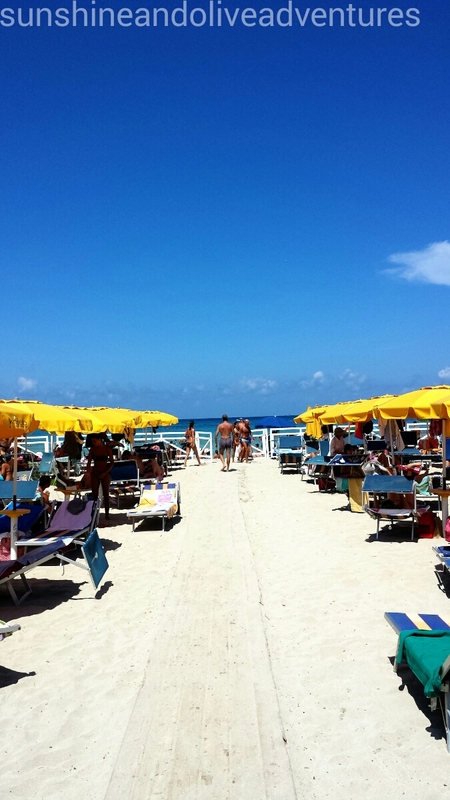 You can catch the 806 bus from politeama to Mondello. You have two options when you arrive in Mondello. 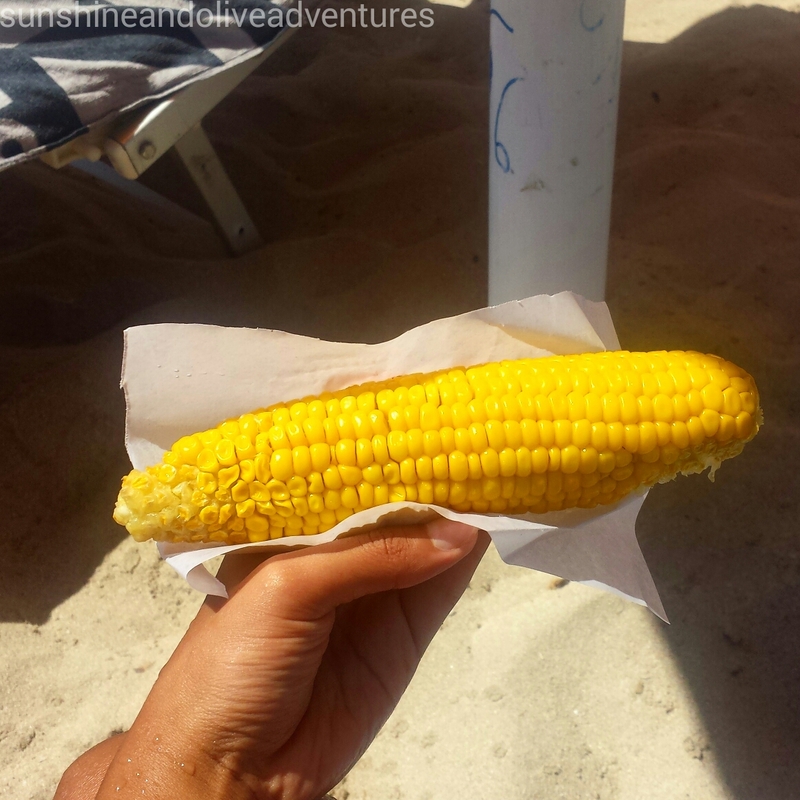 One, to spend the day on the public beach, or two, to pay for the private beach with access to changing rooms, showers, a sun bed and umbrella for €10 per person. The bf and I choose the private beach option because in the middle of the day it can get incredibly hot and it is best to spend an hour or so in the shade. Another reason the private beach is a better option is that your personal belongings are safe. No need to worry about your phone or purse being stolen. When on the public beach you need to watch your bag, this also means that you can’t go for swim in the sea together because someone must always watch your things. At lunchtime go to one of the panini stands. 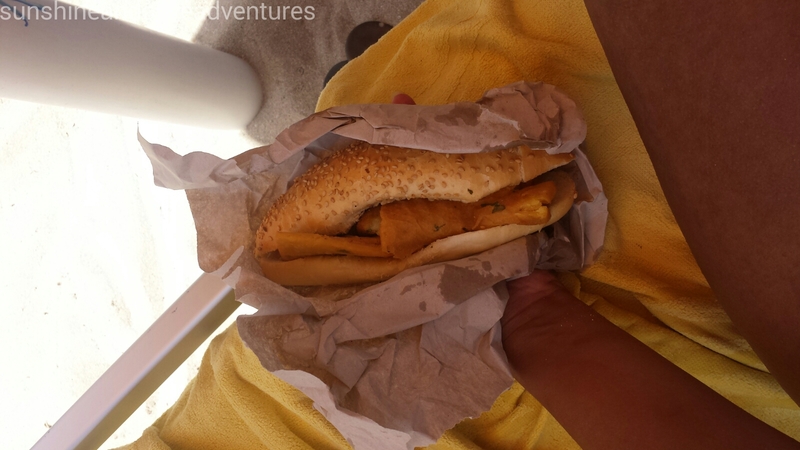 Try the panelle e crocchè panino, which is one of the famous street food items of Palermo. 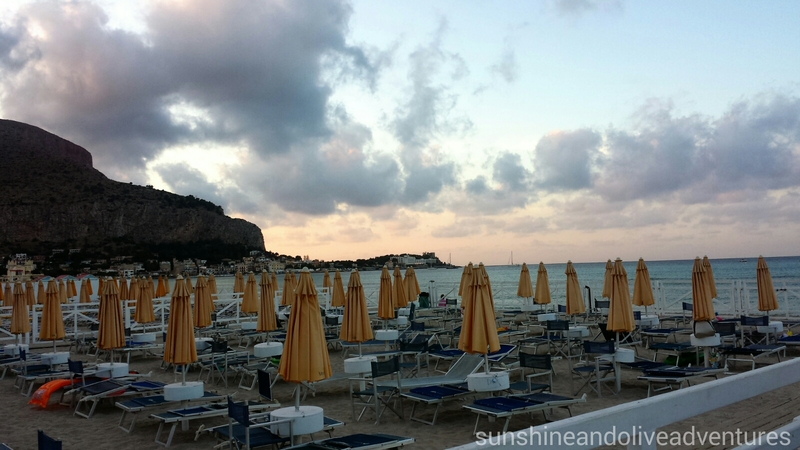 At the end of the day when the Lido shuts at 7pm change and head to one of the bars on the beach to have a drink and aperitivo. 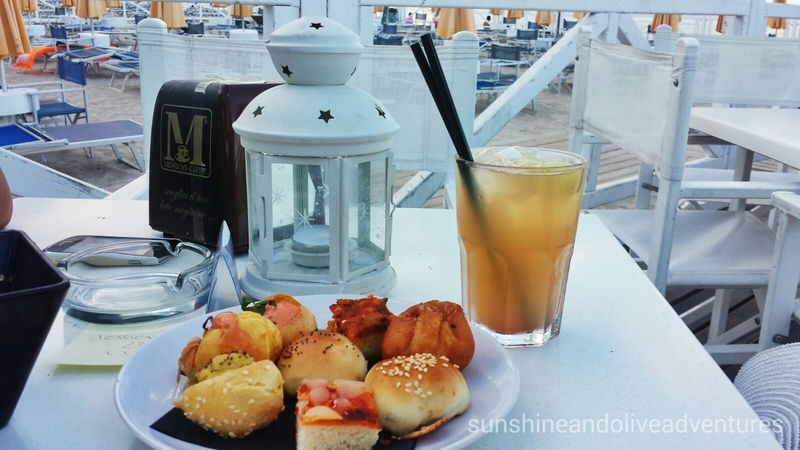 €7 is not bad to have a drink on the beach with some nibbles. 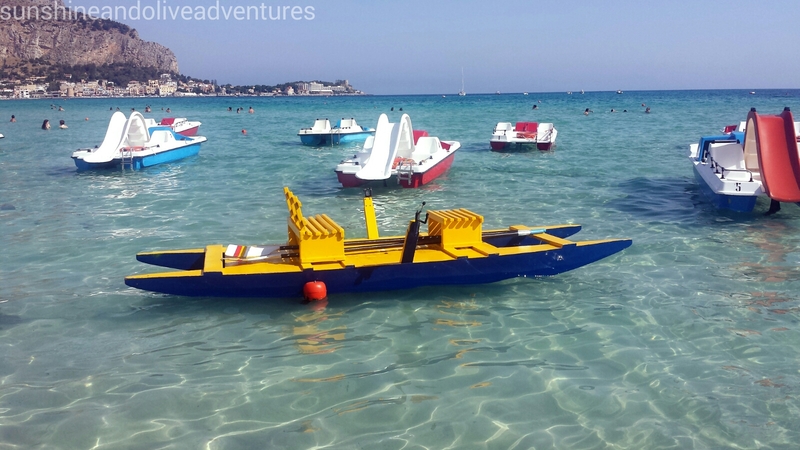 Have you ever been to Mondello?